Set up in 2011, RKSV & now Upstox was founded by three young men – Ravi Kumar, Raghu Kumar and Shrini Vishwanath. It offers trading of stocks, futures, options, currencies and commodities on all the recognized Indian stock exchanges i.e. BSE, NSE, MCX and MCX-SX. For trading in commodities exchnages, RKSV has set up a separate legal entity which is like its sister concern. The two co-founders Ravi and Raghu operated a proprietary trading fund in United States for around 3 years before setting up RKSV. RKSV soon after its commencement tossed in market certain unprecedented trading plans – most popular plan among them being an unlimited trading plan for a fixed price. To increase investor participation, it launched a free educational platform under the name “Trade Academy”. The action was aimed to arm rookies with requisite knowledge for understanding the nitty gritty of Indian trading. Since the mission of this set up revolves around offering “great price”, the brokerage and fee components are pretty decent and light on pocket. As mentioned above, RKSV set a trend of having certain blanket plans wherein on a fixed charge basis, one can trade without any restrictions on the number of transactions. RKSV offers the investors a unique way to enhance their leverage/margin for trading. It lets the investors keep their investment/shares as collateral and corresponding to the value of such investment, it enhances the trading margin. For convenience, it does offer a fee/brokerage calculator like most of the other competitors do. RKSV does not levy any restrictions like maintenance of certain minimum balance, maintenance of account status. It does not even charge any account closure fee or software fee which some brokerage houses might levy. Currently, RKSV offers account/Demat account absolutely free. The company does not levy any maintenance fee for such accounts. Also, for the transactions pertaining to the equity deliveries, it does not charge any penny. It offers all the prominent products to trade into. Be it equity, commodity, future & options and demat. It intends to come up soon with mutual funds as well. The Company’s platform will provide access to mutual funds for investments. The Company encourages the non-resident Indian folks as well for trading/investing. Their website presents a very user friendly describing the documentary requirements for opening account/beginning with trading and investments. The website also answers prime questions regarding repatriation. 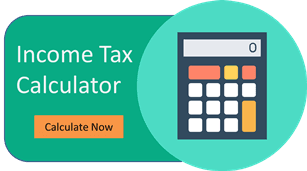 Brokerage calculator – to have a check on the probable savings, minimum earnings for break even etc. To support the basic functioning, RKSV provides an option of transferring the funds online onto the platform for trading. It charges INR 7 for transferring funds of upto INR 5 lacs. Apart from this, it allows NEFT/RTGS as banking channels – these channels are free i.e. RKSV does not charge for transfers made through NEFT/RTGS. Knowledge Base – A section on the website that archives various articles explaining the basic concepts of trading, the procedure of initiating trading/investment. It gives a detailed explanation on various market indicators that can help the investors in understanding the position of various instruments. This section also provides a write up on various strategies that the investors usually adopt or can adopt in various market scenarios. This section also explains various features of their trading platform and provides tips on optimum use of the same. RKSV offers 3 variants of platform – mobile, web and desktop. The trading platform, Upstox, is said to be a user friendly platform. The platform is designed to flash quotes on a real time basis and also provides chart presenation for quick referencing. It also offers an advanced platform i.e. Upstox Pro. There are certain features which are exclusively available for the latter platform.